Did you know that over 85% of the ac repair and service calls we run could have been noticed or prevented with the purchase of a preventative maintenance plan? Preventative maintenance will not only save you money in repairs and efficiency, it will also help lower monthly utility expenses during peak seasons. Probably the best and most popular reason for maintenance is the fact that no one likes last minute surprises, especially the type where you come home or wake up to a house that’s extremely uncomfortable. When an HVAC system goes down all a sudden, it normally forces a last-minute change of plans which may involve rearranging your schedule and maybe taking off work which can be very inconvenient. One thing that we know for sure is that our happiest customers are the ones that allow us to service their system(s) twice a year. 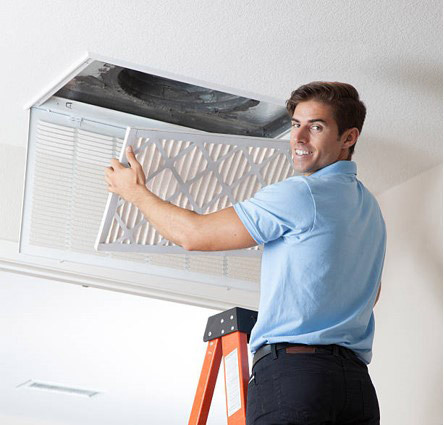 They are the ones who save the most money and are least likely to call in for an HVAC repair. At Total Trans4mation, we take preventative maintenance seriously! As with anything, the best way to save money is to take care of what you have so you don’t have to spend more money on it later. Just like your vehicle, your heating and air conditioning system is an expensive mechanical device that relies heavily on things like internal cleanings, proper fluid levels, accurate calibrations, lubricants, good air flow, and routine maintenance checks. Think about it this way. If the average unit runs 3,000hrs per year, that is the equivalent of driving your vehicle 150,000 miles at 50 mph. Imagine the kind of condition your vehicle would be in if it went that many miles without any service. For your benefit, it is extremely important to maintain your unit the same way you do your vehicle. Our technicians are licensed, well-trained and held to the highest standards to ensure that your system runs safely, properly, and as efficiently as possible. You may be happy to know that our maintenance program is probably one of the best in the business. Our primary goal for servicing your equipment is to get your system through the next 6 months without it having any unforeseen issues. The best way to do that is to make sure you hire good technicians, provide them with the proper materials, and give them a very thorough process to follow. This ensures that the system is cleaned and serviced properly. Here are the spring and fall checklists that our technicians use as a guide to inspect, test and clean your system during a routine clean and service.